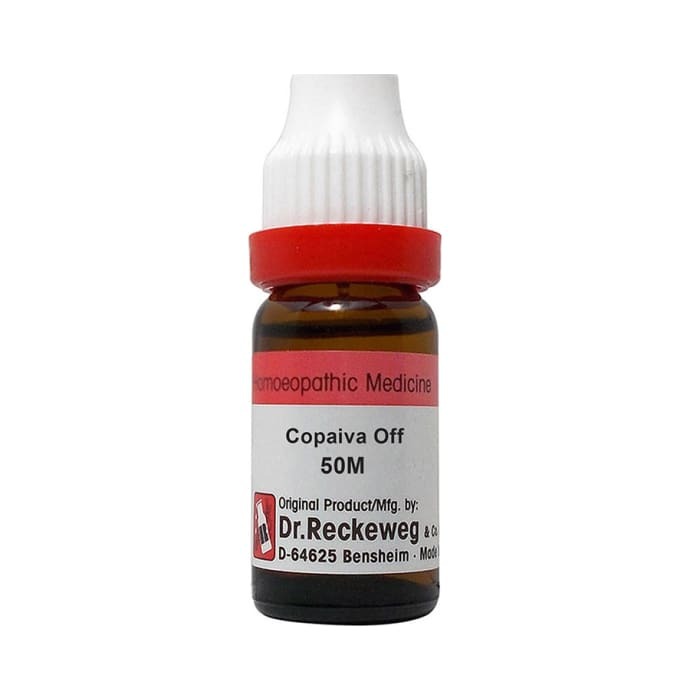 Dr. Reckeweg Copaiva Off Dilution is a homoeopathic remedy that is used in treating various ailments related to the urinary tract, respiration, skin and stomach. Formulated with the balsam of Copaifera officinalis plant, it helps in treating urinary infection and rashes on the skin. Gastric disorders and breathing problems can also be treated by its use. Dosage should be directed by the physician. It can be safely taken with other allopathic medicines. 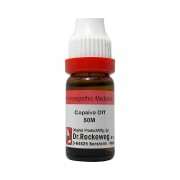 A licensed pharmacy from your nearest location will deliver Dr. Reckeweg Copaiva Off Dilution 50M CH. Once the pharmacy accepts your order, the details of the pharmacy will be shared with you. Acceptance of your order is based on the validity of your prescription and the availability of this medicine.